Full disclosure, I have not read Stephen King’s novel or seen the original 1989 film adaptation, so my review and discussion of the story will focus on what we were given in the 2019 version and not how it compares or holds up to either the novel or the prior film. Now, this is a very brief summary and I am going to get into much more detail, but since this version of the story has several changes (or so I understand it) to the original, I am going to be as vague as possible when I can be and denote spoilers whenever I get to a spot that may spoil some surprise. NOTE – If you are interested in seeing this film at all, stay far away from the second trailer. It spoils a major plot point and a big deviation from the previous film. 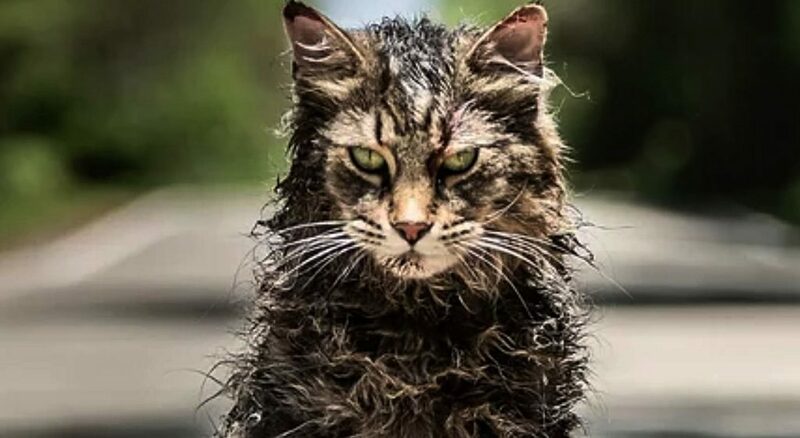 So, what did I think of the new Pet Sematary? Atmosphere Is Everything – This film did a great job of keeping the audience on their toes just by creating an unsettling atmosphere around the characters and events. From the moment the characters get to their new home, there is something very wrong about it, be it the trucks that fly by on the road out front or the creepy neighbor (great job by John Lithgow) living next door, the atmosphere is a key part of what makes this such an effective piece. Raising The Tension – The writers also do a fantastic job of slowly ratcheting up the tension and unsettling nature of the surroundings until we are nearly suffocating due to the fact that we have been holding our breath so long. Thing start slowly, with creepy children marching through the trees and John Lithgow’s warning that the woods aren’t a safe place to be, but quickly get more and more horrifying as the story races towards the inevitable conclusion. Another thing that they did really well is that the filmmakers made sure that all of the scares were earned and not simply jump-scares. Part of the reason I’m less inclined to see some horror films in the theaters is that they are typically just a barrage of loud, random jump-scares which tend to make me leave the theater feeling less frightened and more in need of an aspirin. This film, however, ratcheted up the tension and slowly built to each moment, which it then let breathe and soak in. MAJOR SPOILER – A great example of this was when Ellie returns from the dead (apparently a major change from the source material – but one that I thought worked extremely well and was equally horrifying and heartbreaking) and talks to her father for the first time. Instead of just having him search around the house and then *SURPRISE! * she jumps out at him – the film instead chooses to have him find her and start a discussion with this dead little girl. Very obviously, something is not right with this new Ellie, but the father is so blinded by joy and relief that he refuses to see it and we just watch this creature pretending to be the Ellie that her father knew and loved. Contained – This really was a contained piece with most of the story and action taking place either in the family home or in the woods out back. With just a few characters, it was a really focused and intimate character-driven horror which I think is amazing and was very well-done. 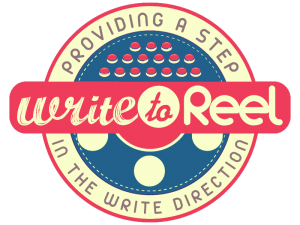 Seriously, I have said it before and I will say it again: we should all be writing a contained horror piece, just to have in our back pocket in case someone asks you for an affordable high-concept script. This is a good example of how to take a high-concept and execute it with a limited cast and limited locations. Storytelling – I also really respected that things didn’t just happen for the sake of being creepy or needing to wrap up. Story beats followed a very natural pattern and every character action had (sometimes unexpected) consequences that felt real and earned. SPOILERS AHEAD – For example, after Church’s death, the father chooses to follow John Lithgow out to the Pet Sematary and beyond (now, I have heard that this is more earned in the book, as they are good friends. Here, it did feel a bit strange that the dad would just join John Lithgow for a midnight march with a dead cat, but I digress). That leads to Church coming back a monster. Which leads to the father deciding to kill Church. When he realizes he cannot, he releases Church into the forest, away from their home. Of course, Church is drawn back to the home and lures a character I will not name here into the road to be hit by one of the speeding trucks. The events all snowball in a destructive chain reaction which is at once beautiful and horrifying to watch. Genuinely Disturbing Moments – There are several moments in this film that were pretty hard to watch. I mention this because I think it brings up an important point – these scenes were not necessarily hard to watch because they were the most gory or were jump-scares, but because they were so scarring and we had built up these characters and their backstories. That means when things happen to them, we, as an audience, feel it and care about who is dying and what is happening on screen. SPOILERS – The scene where Ellie gets hit by the truck was pretty shocking and actually caused a few walk-outs in our theater. That was not the moment that was most disturbing to me, though. I found the scene in which the newly-resurrected Ellie hugs her mother, dripping blood and grime and her mother pushes her away, horrified at this abomination. There is just something psychologically disquieting about that family reunion scene and it is one that stays with you after you have left the theater. Great Ending Song – This is a silly note, but THIS SONG plays over the credits when the film ends (super bleak ending, by the way) and it is awesome and got a big cheer in our theater. Some Cliches – This may have been included in the book, but it was something that bothered me, just because if you are making a film in 2019, you should be aware of some cliche conventions and do your best to either avoid them altogether or subvert them in some way. In this film, the father (played brilliantly by Jason Clarke – who I’ve loved since Brotherhood – a criminally underseen show, though it did fizzle a bit in the final season) is a big-shot doctor who is also, guess what? An atheist. His lines about not believing in anything and the impossibility of an afterlife and what he is seeing just kind of came off as rusty, because we have seen that before in countless other films. Perhaps it would have been more interesting to have the father be a man of faith. That way, when he sees the miracle that the Pet Sematary is, he thinks he has found a holy site. But when the things that have returned start to turn evil, he must reconcile his faith with these circumstances and accept that maybe it wasn’t God who created this place after all. That is simply the first thing that came to mind, but it still is an example of how to take something that we have seen before and know and twist it so that we still get the important beats and character moments, but feel like it is fresh. The Wendigo – Now, it needs to be said that the return of the dead apparently comes from The Wendigo – an evil spirit that causes people to eat each other. This is briefly hinted at in this film (a page in one of Jud’s books and a large shadow seen in the mist), but it wasn’t until I did a little more research afterwords that I realized this is what they were going for. Now, as I said, I have not read the book or seen the first film, but I was actually fine with them just having a creepy area in the forest. There really didn’t need to be much explanation here and the whole Wendigo angle just seems to kind of muddle the story and the themes for me. Didn’t Pass The GTFO Test – During my many hours of watching horror films, I’ve come up with a little test I like to run by the characters and situations in the movie: at what point would I get the F out of that house/hotel/cabin/etc.? Now, it doesn’t always work, because sometimes the filmmakers will provide a much-needed explanation as to why the characters can’t or won’t leave. This is good and something that you really should do if you are writing a horror (and especially a contained horror): give us a reason that the characters don’t just pack up and leave at the first sign of trouble/ghosts/demons/killers. This film did not pass that test as there are just so many moments when the characters should have, and could have, left the home when things were bad. SPOILERS – This is especially egregious when the mother returns to the home with their infant son, only to find that the father has lost it and their once-dead little girl is now back… sort of. She has several moments when she can grab the infant and run to the car she just drove up in, but instead chooses… not to for some reason. It’s almost like THIS MOMENT in Scary Movie where the girl is running from Ghostface and chooses to run in the direction that says “Death” instead of the one that says “Safety”. Terrible Parenting – I’m not a parent, so I won’t pretend to know and of the ins-and-outs of that job, but the parents in this film are just unforgivably awful. For example, one of them is a stay-at-home parent and yet still doesn’t seem to know where her daughter is at any point in the film. Ellie (the 9 year old daughter) is allowed to wander after a creepy procession of children (all wearing death-masks and being super-weird) deep into the forest and to play in a cemetery with a strange older man who she has never seen or met before. Oh, and just one day later, Ellie leaves (without anyone knowing) and walks into the old man’s house to – and I am not making this up – look at his gun and go through his personal documents when he is not around. I mean, come on! It’s little things like this that you should be careful of in your writing – it may seem like a nitpick or a minor note, but I will tell you that it had several people in the audience I went to see it with yelling at the screen and groaning. That is not what you want when your masterpiece has its big screen premier, so be careful to make sure that your character actions are believable and things do not just happen because you need to propel the plot forward. RENT IT. I enjoyed this film as it stayed away from typical horror cliches and jump scares in favor of atmosphere and unsettling imagery, however, I do realize that it is not without its flaws and several of the film-goers who I watched it with had genuine complaints that lowered the film’s quality for them. In my opinion, however, it is certainly worth a watch and is a solid effort, especially if you are trying to write a contained horror or just looking for inspiration as to how to increase the nightmarish nature of your story. Oh, and to end this review, here is a photo of Tonic, one of the five cats who played the undead Church in this film at the red carpet premiere… because come on, that’s adorable! He’s wearing a little tie! The Babysitter – 2017 Horror Month Part 1!